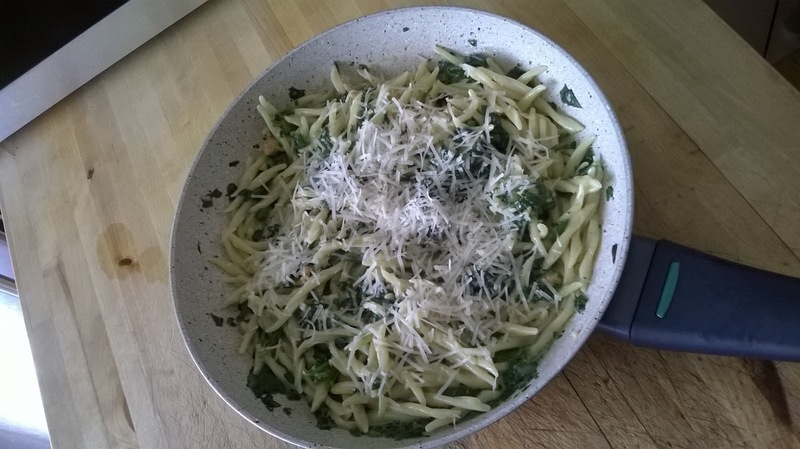 what's cooking in my tuscan kitchen: What shall I make for dinner? Tired of the same dishes over and over again, I opened my fridge and asked myself.. what can I make for dinner today?? 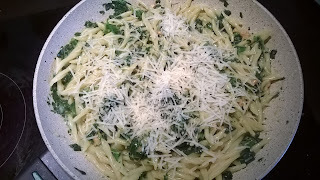 Here is what caught my eye in the fridge... fresh spinach washed and ready to cook, gorgozola cheese... my wheels started turning... and this is what I came up with and dinner was on the table in 30 minutes start to finish! Put butter, olive oil and garlic in a large non-stick fry pan and saute the garlic over medium heat - do not let it get dark!! 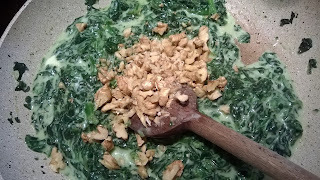 Add the spinach (no water), a pinch of salt and cover the pan. 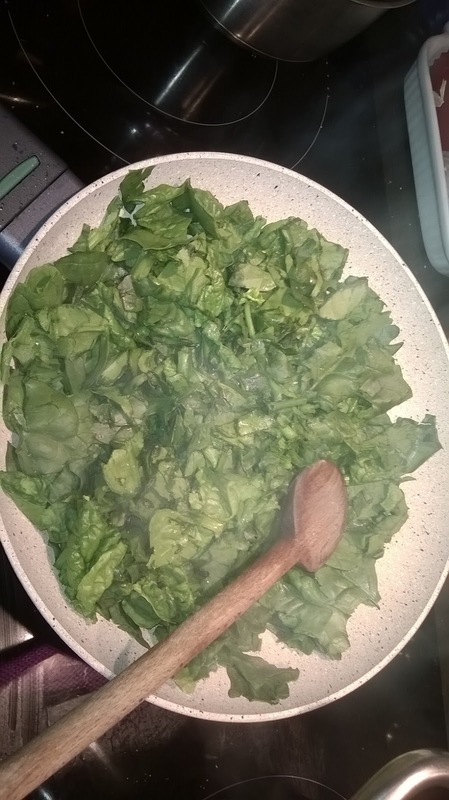 The spinach will wilt and start cooking in its own juices. Lower heat if necessary. When the spinach is cooked, add the gorgonzola cheese and cream, stir until the cheese is melted. 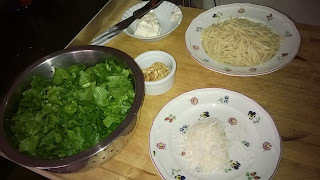 By now your pasta is cooked. Drain it, reserving a couple of tablespoons of the cooking water, in case you need it. 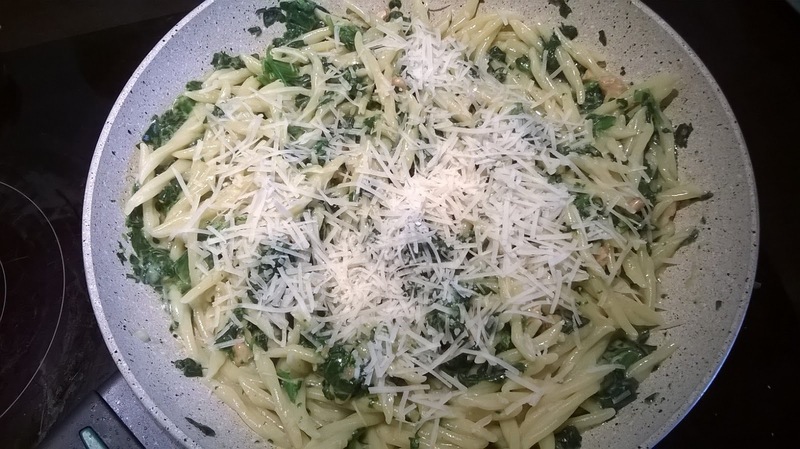 Add the pasta to the cheese and spinach mix. 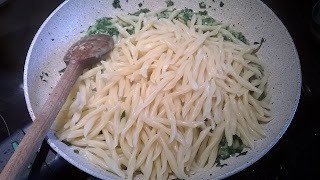 Return to heat and toss well so that all of the pasta is coated with the condiment. 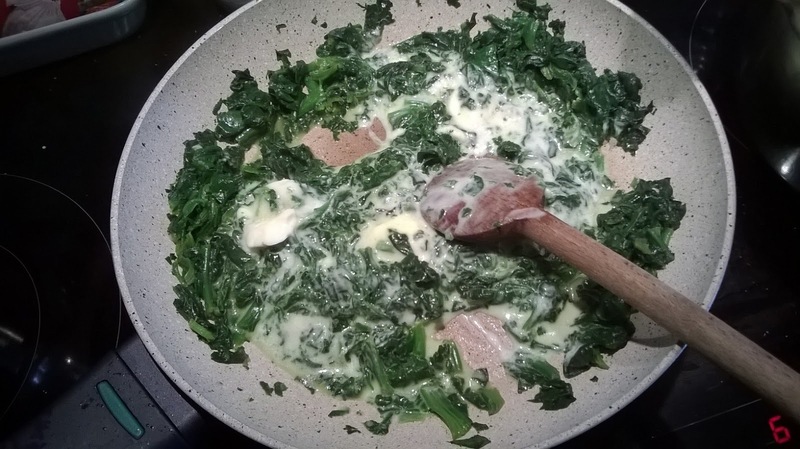 If it seems dry, add a little of the water you reserved from cooking the pasta or another tablespoon or two of cream, half 'n half or milk. Sprinkle with the parmigiano cheese and serve!